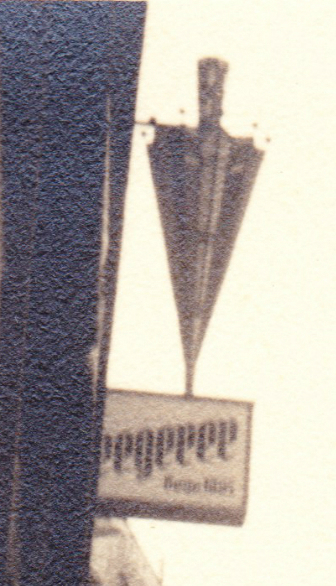 Papergreat: Mystery postcard: What European city is this? I posted this to my Facebook page and I think my friend Sarah found it! 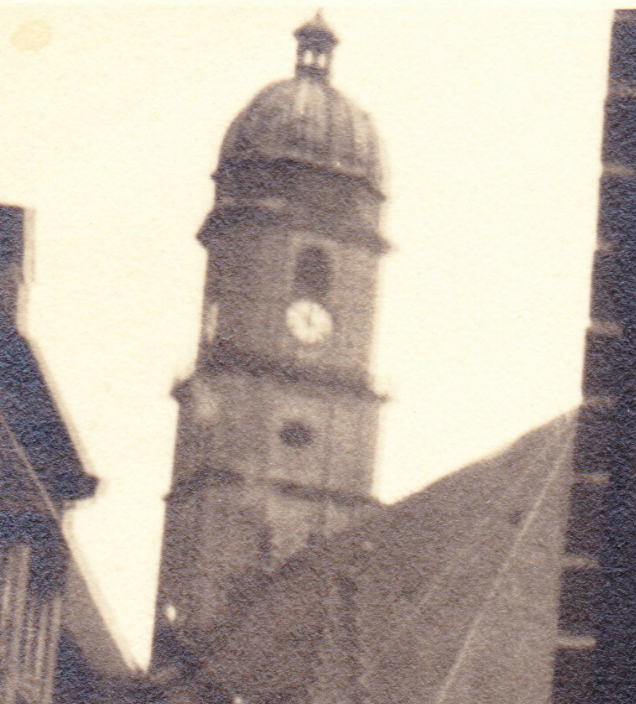 Amberg, St. Martin Church, http://www.flickr.com/photos/9139017@N05/3751275281/ I don't know how she did it, but it seems to be the location! I'm thinking it is 1940s ... the horse and buggy look out of place, but can't be much earlier with the skirt that short. Pre-WW2 or Post-WW2 is definitely another question I'd like to answer, now that we've answered the biggie. 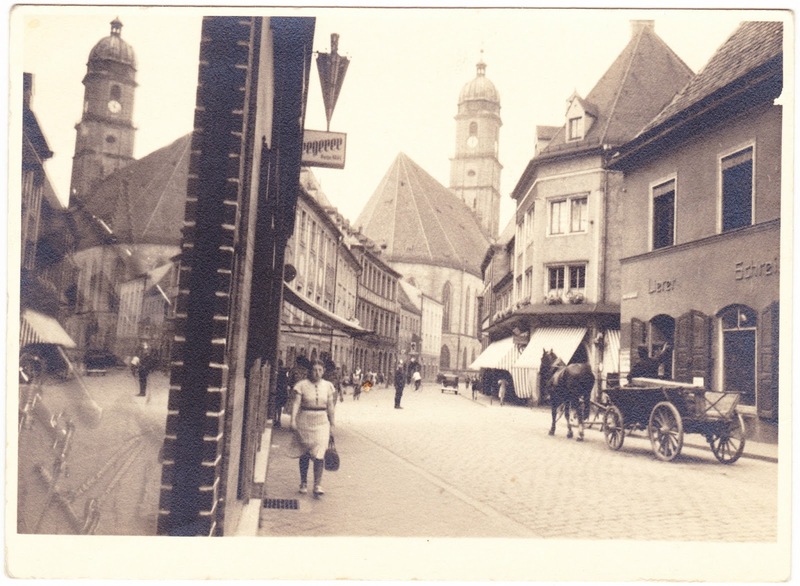 I submit that the town is Amberg, Germany, and that the church in the background is St Martin's. And here she is! So very cool that you found it! 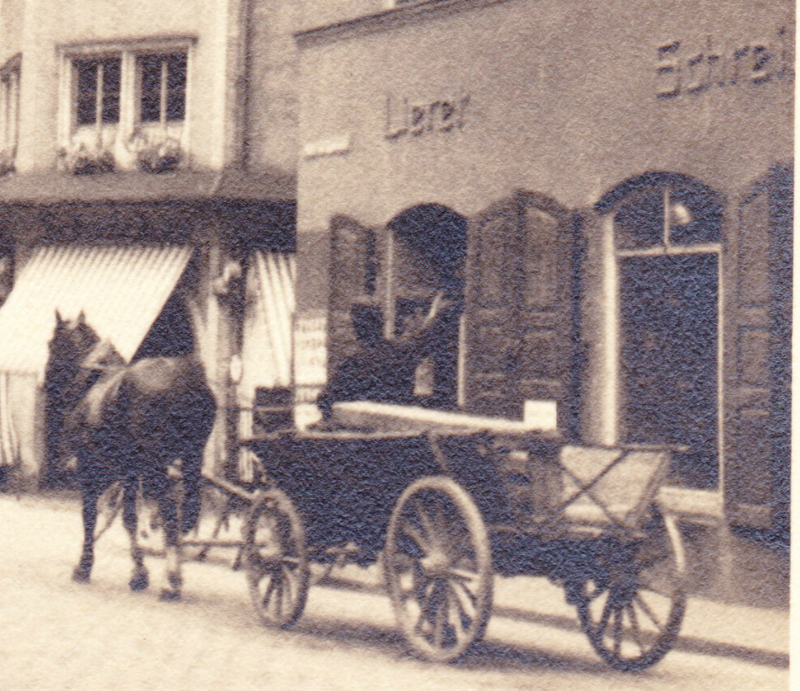 I found it by Googling the names on the building, and then following up on some current listings for a bookstore in Amberg. Then off to Wikipedia and Google Maps to confirm! Glad I could help out, Chris. I like you blog a lot. Thanks for posting such interesting stuff! It looked familiar because I'm pretty sure I passed through this town on my way to Regensburg years ago.